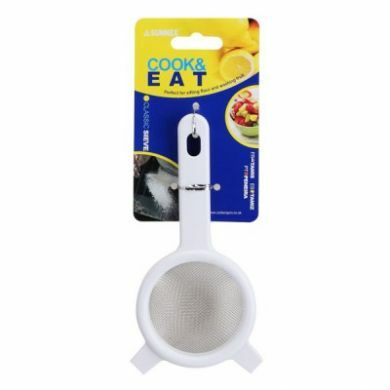 Plastic Sieve 80mm with Stainless Steel Mesh. 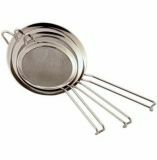 This lightweight sieve is perfect for baking and kitchen use, such as sifting flour and other ingredients. 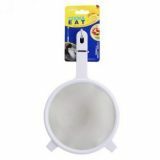 This product is easy to wash and dishwasher safe. This product is also great not only in a home situation but also in bars, restaurants and cafes. The size is perfect for storing away when not being used. 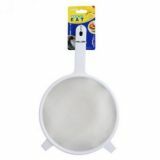 Material: Stainless steel mesh with plastic handle and outer rim.